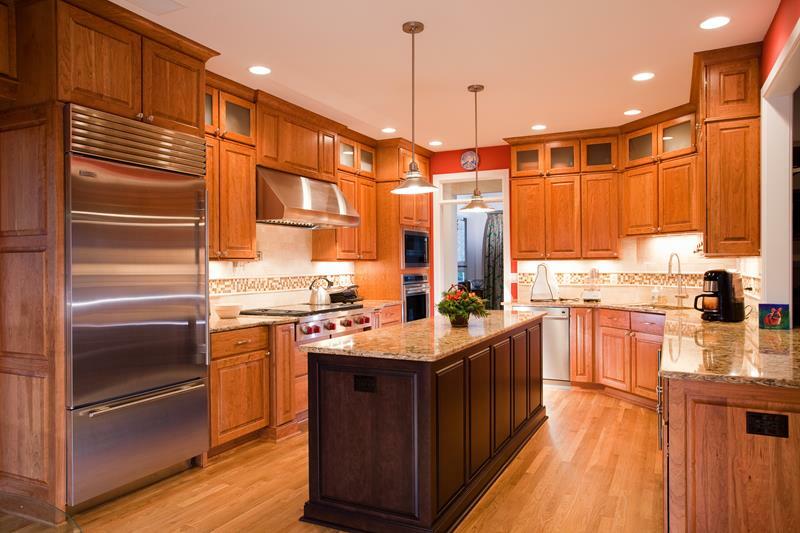 When you’re putting together your kitchen design, you’re probably going to be spending a lot of time focusing on things like cabinets, countertops and flooring. However, those things aren’t necessarily the most important things in your kitchen! Your kitchen, after all, is designed to be used, and to use it you’re going to need appliances. There are a lot of ways you can go here. 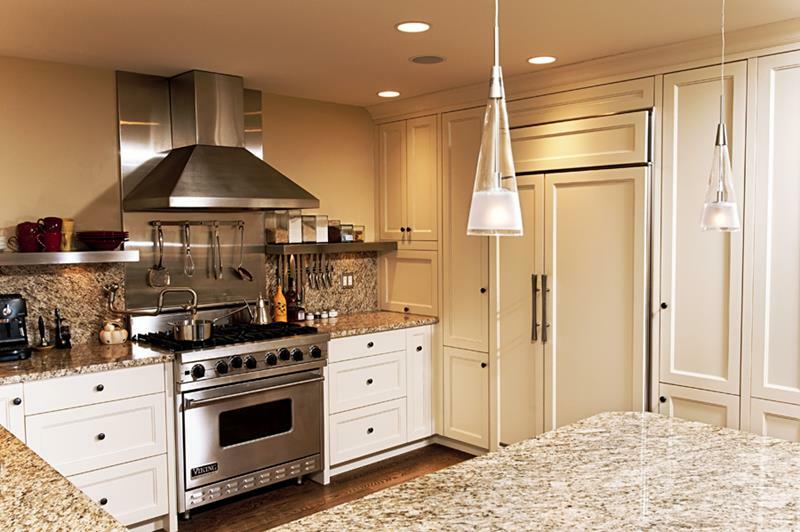 But, remember that the look of your appliances will go a long way toward determining the look of your kitchen overall. If you want something that’s versatile, though, there’s really only one category of appliances to consider: stainless steel appliances. 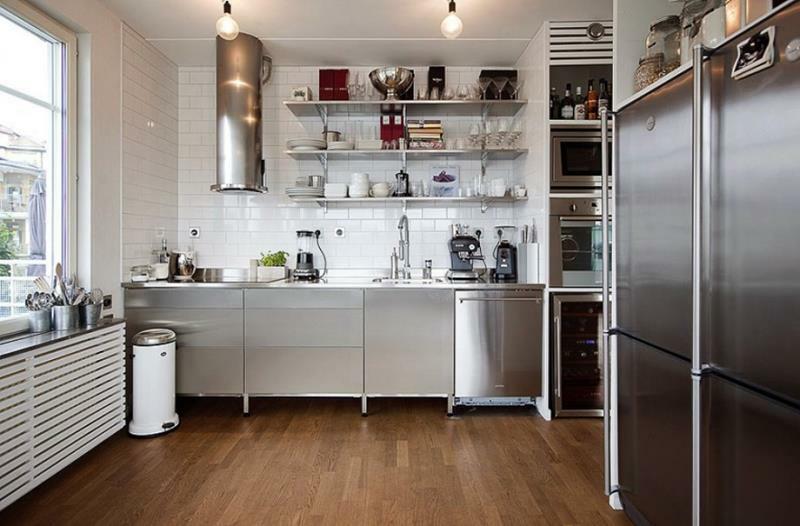 Below, we’re going to take a look at 25 kitchens that have beautiful stainless steel appliances. As you’ll see, they work well in pretty much any kind of kitchen style you can imagine – provided, of course, they’re incorporated in the right way. Therefore, if you’re thinking of using stainless steel appliances in your kitchen, then you should take a look at these amazing examples. You’re sure to love them, and you’ll also get plenty of inspiration for your own kitchen design. Who knows? Maybe you’ll find something that you can copy verbatim! 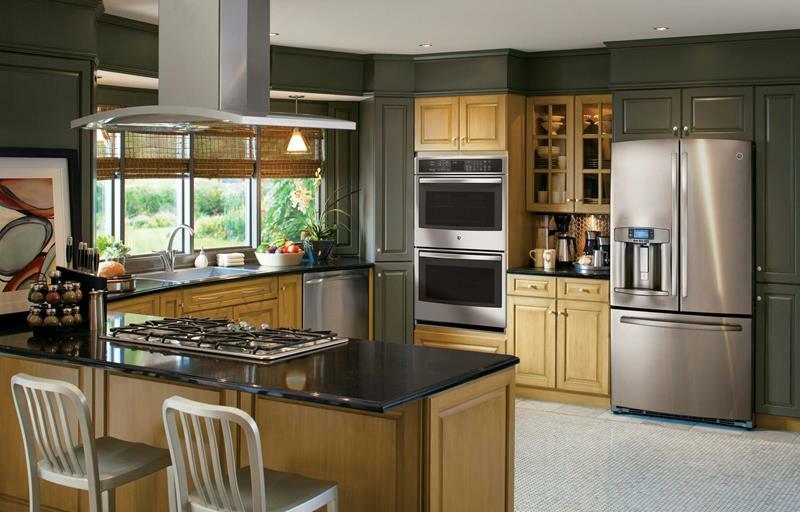 When it comes to creating a sleek look for your kitchen, stainless steel appliances are a virtual must! White kitchens can sometimes be in need of contrasting textures and colors; stainless steel appliances can accomplish this wonderfully. To really accentuate the luxury of your stainless steel appliances, consider using stainless steel for your hood and for a backsplash behind the range. 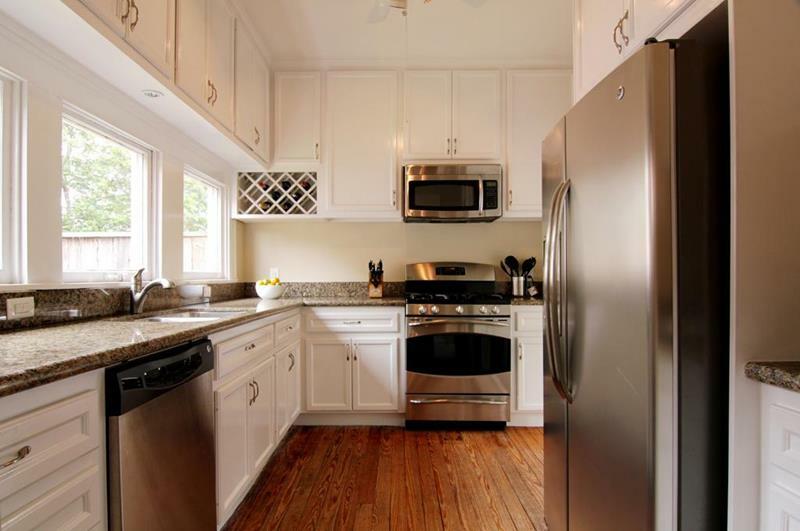 Stainless steel appliances also work well within minimalist kitchen designs, lending a professional and appealing look.